The PAMM Service is a software solution that makes possible to copy trade operations from Master account to one or more Followers accounts and helps to automatize profit/loss distribution. Master operates his/her personal funds through a given PAMM Account, and his/her trading strategy is replicated on the Followers' own funds. PAMM Account performance can be viewed and analyzed with the help of advanced analytics that provides information in digital and graphic forms. 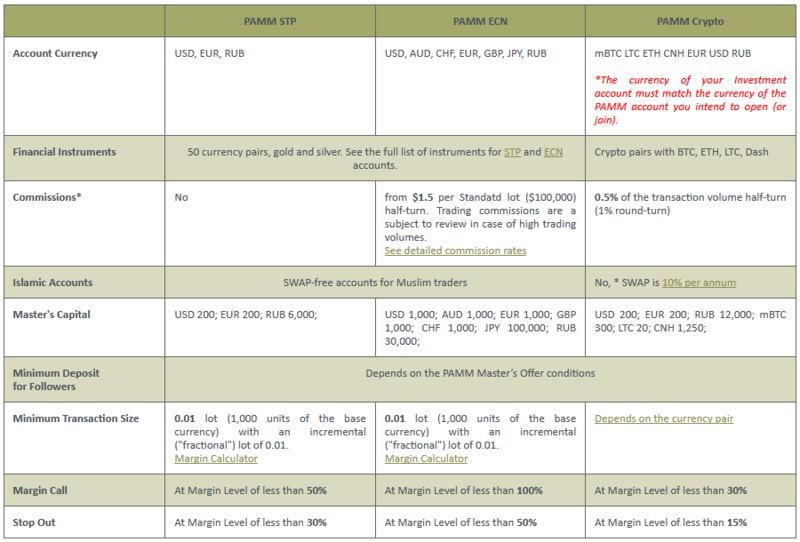 PAMM Service guarantees exact and instantaneous copying of trades on Follower’s funds. PAMM Service is a cutting edge software solution that is intended to unite experienced traders (Masters) and people who are interested in financial markets (Followers) all over the world. As a result of that cooperation every participant gets benefits.